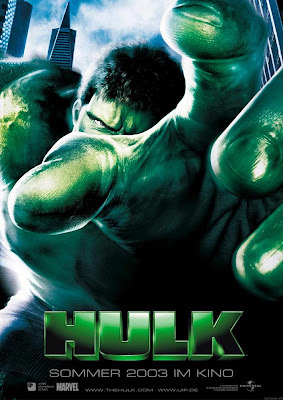 Hulk (also known as The Hulk) is a 2003 American superhero film based on the fictional Marvel Comics character of the same name.Ang Lee directed the film, which stars Eric Bana as Dr. Bruce Banner, as well as Jennifer Connelly, Sam Elliott, Josh Lucas, and Nick Nolte. 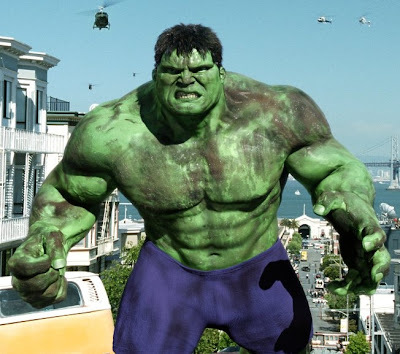 The film explores the origins of the Hulk, which is partially attributed to Banner's father's experiments on himself, and on his son. Development for the film started as far back as 1990. The film was at one point to be directed by Joe Johnston and then Jonathan Hensleigh. More scripts had been written by Hensleigh, John Turman, Michael France, Zak Penn, J. J. Abrams, Scott Alexander and Larry Karaszewski, Michael Tolkin, and David Hayter before Ang Lee and James Schamus' involvement. Hulk was shot mostly inCalifornia, primarily in the San Francisco Bay Area. The film grossed over $245 million worldwide, higher than its $137 million budget, but still considered somewhat of a disappointment. The film received mixed to very positive reviews from film critics. Many praised the writing, acting, character development of the film, and the music score by Danny Elfman, but criticized the character origins differing from the comics and the dark, depressing story plot. Producer Avi Arad called the film a "windfall" for Marvel at the box office, and that Hulk's merchandising was successful enough to make a sequel. This eventually led to rebooting with The Incredible Hulk (2008), which is also viewed as a stand-alone sequel as much of the plot of The Incredible Hulk is continuous of Hulk.